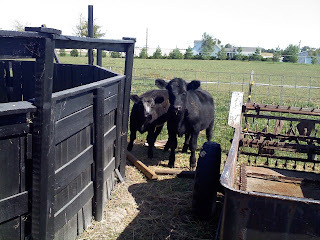 Brought home 2 new calves today. We put them in the sheep paddock. It has a gate in the middle so we can easily separate the sheep and calves. Lucy and Ethyl, our red Angus cows, have there date with destiny in about 2 weeks. 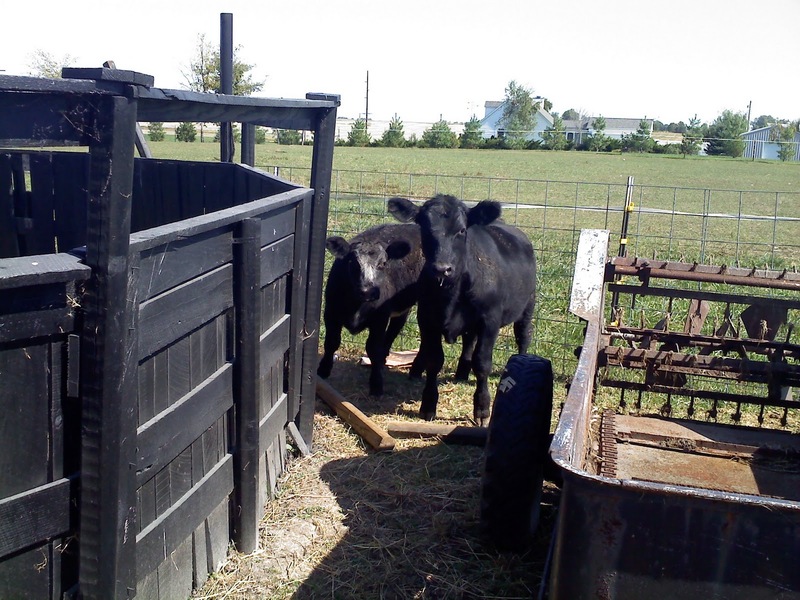 Once their gone and their paddock thoroughly cleaned, we'll put the new calves in. 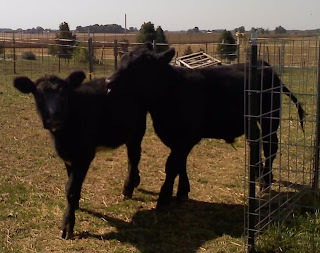 These are Black Angus cows, I'll let you know in 18 months if there's a taste difference. The steer is slightly bigger and all black. 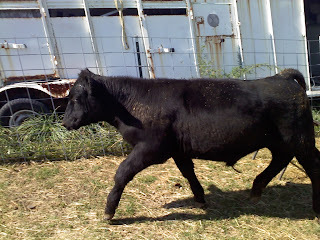 The heifer has white on her face and a white belly. I guess he's camera shy, lol!! We will raise these guys for about a year and a half.